If you’re a DSLR video shooter using the Zoom H4N, you’ve probably heard the Sound Devices MixPre can take your audio recording to the next level. But what, exactly, does the “next level” sound like? I recently purchased a MixPre, and I’ve been asked by a couple readers of my blog to post sample audio. And that’s what I’ve got for you today. NOTE: It’s necessary to use attenuation of some kind between the Tape Out on the MixPre and the Zoom H4N’s line-in, because the signal the MixPre sends to the Zoom is too hot otherwise, and will cause the Zoom to clip before the MixPre’s limiter’s kick in. I blogged about this previously here. The recording environment: my finished basement, which is very quiet and covered in carpet. It was a windy day today, though, so you can occasionally hear neighbor’s wind chimes in the background. For this test, I read the first paragraph of a Paul Bowles short story, so it’s your basic male dialog. Equipment: AT875R mic on stand, 10″ away from my mouth; Sound Devices MixPre; Zoom H4N (with latest firmware update). Hypothesis: It shouldn’t really make any difference whether you use a -10db pad or a -25db cable – you just have to raise the recording level a bit when using the -25 cable. But I am wondering whether the -25db cable sample will be noisier because of need to crank up recording level on Zoom H4N. It shouldn’t be, because I’m told that plugging into the line-in on the Zoom bypasses the preamps on the Zoom completely. Finally, the Zoom H4N should be noisier without the MixPre in front of it, because the preamps on the consumer Zoom H4N are said to be crappy by comparison with the professional Sound Devices MixPre. 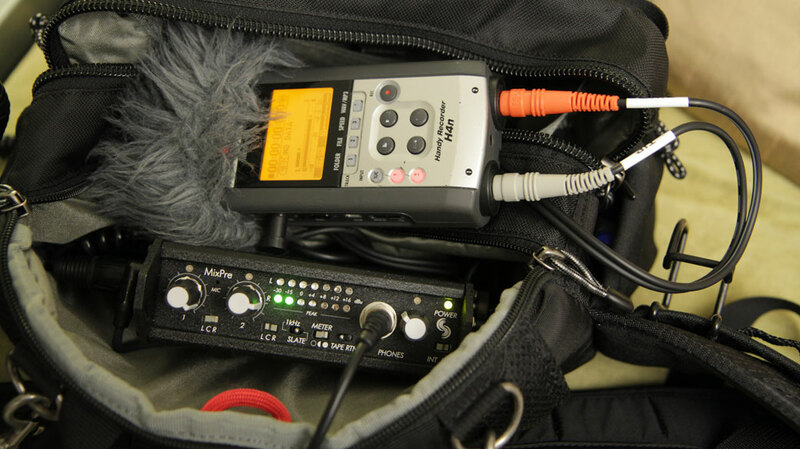 As expected, the MixPre does improve the quality of the audio recording compared with recording directly into Zoom H4N. There is less hiss, and the sound is richer. Still, the Zoom H4N all by itself is not bad. And to my surprise, the -25db Pink Noise cable seems to have less noise than the -10db pad, although I think that’s down to relative recording levels being different (although I tried to make them the same – the audio waveforms are taller on the -10 pad file). As I’ve posted previously, I far prefer the Pink Noise cable over the -10 M-Audio pad, because of it’s ergonomically angled 3.5mm jack, which allows it to lay flat in my sound bag. So these test results do nothing to change my preference: recording audio with MixPre in front of my Zoom H4N, connected with Pink Noise -25db cable. Of course, sound is a very subjective thing. What do your ears tell you? This entry was posted in Sound Bag, Tips on February 27, 2011 by Dan McComb. This is a good test, and I know it is hard to do A-B testing in the real world. In this controlled environment we see some improvement, however, I believe the most improvement will be when you get into high-gain situations. The torture test, and how often you need to capture torture test type audio will be the difference in price. Also, you didn’t hit the limiters with this test. I would have expected some loud yelling to show the difference in audio in a crowd (run n gun style). So, if I had a wish list, I would want to hear some bird singing recorded, and some loud crowed recording. That is where the mixpre is required because the H4n just plain can’t do it. The richer sound is nice though, and I wouldn’t say richer, I would say ‘less saturated’ …if that makes any sense. Great points Isaak. I completely agree that one of the prime reasons to go with MixPre is because of the nearly unclippable limiters on the MixPre vs. the totally breakable ones on the H4N. I can tell you from experience what happens: when the the limiter seriously engages on the H4N, you hear a not-so-muffled pulsing sound on the recording. It’s possible to make this happen on the MixPre, but only if you completely over push the levels into the red and keep them there. Re: your wish list, unfortunately I live in a city with lots of traffic, so bird singing isn’t normally an option for me. However, I do get out of town regularly to a place where that IS possible, so I’ve added your wish list to my to-do list. I will record and post that another day. Traffic sounds: no problem. Thanks for the feedback. The petrol bag arrived today and I can’t wait to move into it! Thanks for the transaction. And thanks for these audio samples. Here’s where I’m at with things: I ordered a MixPre last night! I’m sitting-by-the-front-window-waiting-for-the-UPS-truck kind of excited about that. However, I’ve since become less excited about my Zoom H4n. As a standalone portable recorder it is fine, but I can’t get past the fact that it doesn’t have a line input. I know you managed to figure it out, but Zoom didn’t exactly make it easy to use with an external mixer. I’m strongly considering selling the Zoom and replacing it with a Sony PCM-M10 for use with the MixPre. It’s a combination that quite a few people seem to be happy using and, unless I’m misunderstanding something, I wouldn’t have to use any kind of attenuation. Ideally, I’d get a recorder that accepted line-level XLR, i.e. Marantz 661…but one thing at a time…. Anyway, I’m curious if you’ve ever connected your Zoom H1 to the MixPre, tape out direct to line in, and how that compares with your current set-up with the H4n. Congrats Daniel. You’ll never regret purchasing your new MixPre. 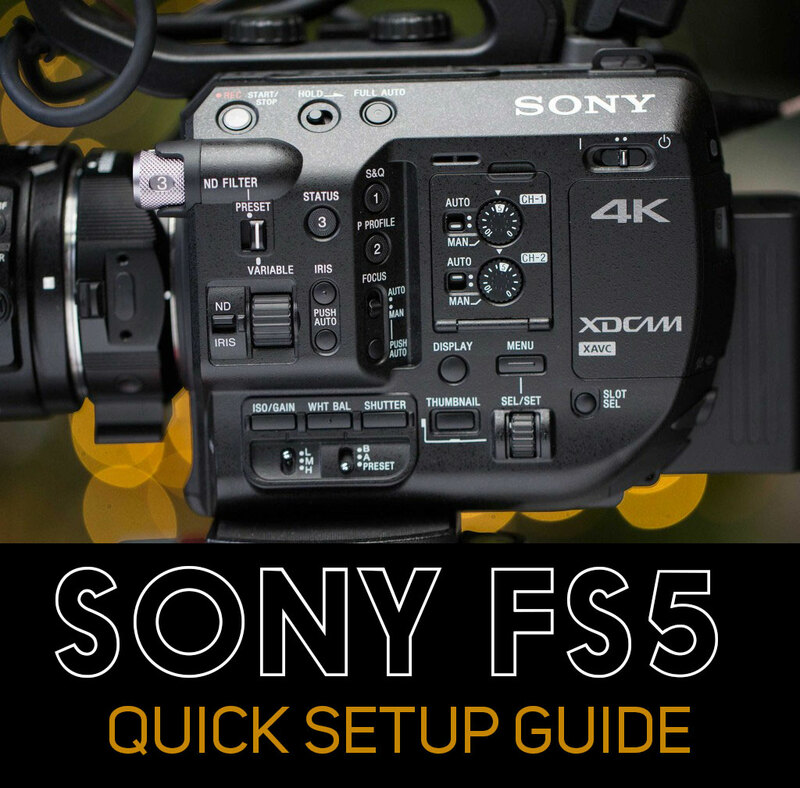 I agree with you: there are better options than the Zoom H4N for use with it. My H4N for example has a bent microphone, and the other one is cracked, because the built-in mics have no cage around them. They get beat to hell in daily use. To the recorders you mentioned I would add the Tascam DR100. 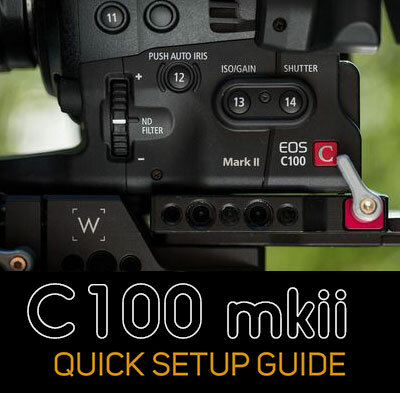 I haven’t used it, but Philip Bloom recommends it for DSLR filmmakers over the H4N. I worked with a pro sound recordist a few months ago and he recommended the Fostex FR2-LE which sells for $600. Re: MixPre > H1: It’s not a scenario I’d ever imagine using in the real world, but it would be an interesting test. I’ll add it to my list. The 1/4″ input really isn’t much of a line input.. The specs do say “guitar and other line level signals”, and it does work great with a guitar, but a guitar output is not really line level.. it’s very high impedance, and usually in the 50-200mV range for a strong strike, depending on the type of pickup (for magnetic pickups… piezos pretty always have some kind of on-board preamp). So that’s -25dBV to -14dBV… not quite as hot as a consumer line level, at least 15dB below the usual +4dBu (+1.8dBV) of a pro audio signal. I have used a direct box from consumer audio (tape monitor outputs) to the XLR inputs, and at least based on the specs, at 600ohms the input limit is -12dBV, just matching the consumer spec. So I use this with a 10dB pad, anyway. The direct box is also useful for lifting ground on the XLRs, needed if you’re getting gound loops. Hi!. I’d like to say that your website is extremely helpful. I’m an amateur and I’m starting to feel it along with growing need to use the gear propoerly. I’d like to ask you for your opinion about one thing. I use exactly the same set as you (H4N + Mixpre) but connected with no-name XLR cables (which I hope to exchange to those you describe) and recently I discovered one thing. The sound recorded without Mixpre is much more clearer and the level of gear hum is much lesser than with Mixpre connected. Please tell me if I did something wrong with the Mixpre or maybe there is another reason. I’m not really sure how to setu MixPre correctly. There are those screws to limiter at the side of device and I haven’t ever used them. I’ll try to use your instructions from the article and fix this. I hope my question won’t be inappropriate. Have you included the attenuation pad in your setup? I’m guessing that the hum comes from to hot of a signal entering your Zoom from the MixPre, which happens if you don’t pad it. I forgot to mention that I use Sennheiser ME 66 connected without phantom from MIxPre or Zoom H4N. I didn’t use the attenuation pad and I don’t even know how does it look like. I ordered those cables you mentioned. Will it fix problem? It should fix your problem. The key cable you want is the -25db cable. The reason you’re getting the hum is because the signal is way too hot, and the -25db cable will fix that pronto. Thanks! Hope you will publish some more info about the set in the future. Greetings!